Cars and Cargo...probably the two most diversified loads to be towed down the road. It’s why you won’t find a lot of ‘Off-The-Shelf’ Car Haulers or Cargo Trailers from 4-Star Trailers. 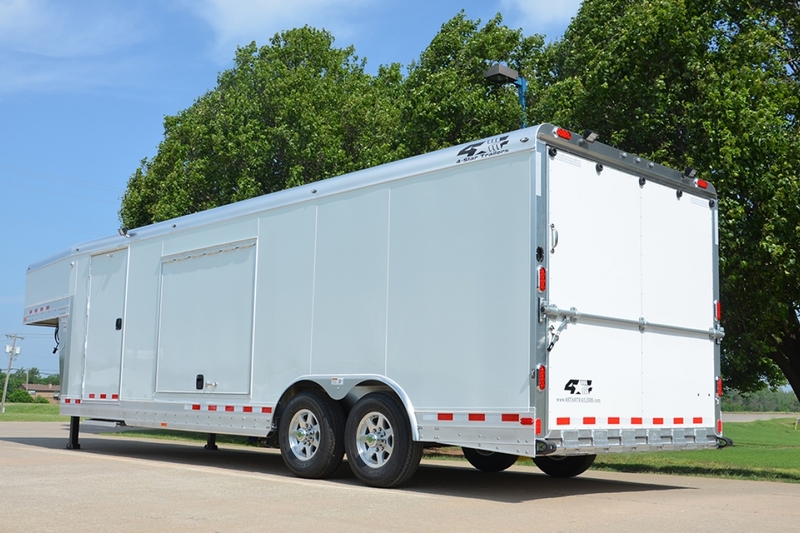 We believe that everyone has his or her own unique requirements when it comes to cars and cargo, so we build your trailer the way you want it when you order it. Our network of knowledgeable dealers will work with you and our engineers to configure the trailer that addresses your every need. Photo's shown with optional equipment. Dimensions are approximate. Trailers may be ordered based on two available platforms. The Deluxe platform is designed for trailers from 6’-0” to 8’-6” wide with a maximum length of 44’-0” for GN models and 22’-0” for BP models.